Triumphant Victorious Reminders: October 8, 2009, "Take Your Position"
It's so nice to meet you! I really appreciate the visit to my blog and that you are following along as well. I'll do the same. 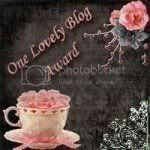 Your blog is just wonderful and very inspiring. It seems frustration is around right now. My prayers are with so many at this time. Wow!!! Before I logged on this morning, I had a heaviness in my heart. God called me to start a ministry here, and it seems to have failed. A friend called today and told me about a bunch of other people who are launching ministries, and they are very successful. I know God called me to do this, so I am very discouraged, wondering what I did wrong. I'm going to STAND STILL! That hit me like a ton of bricks. Thank you for a timely word today, Lord knows I needed to hear that. Thanks for joining me at 'Poetry and Paradise.' I don't go on that site very much, or post very much there. Please check out my main blog at: www.heavenlyhumor.blogspot.com It's where I usually am. And I would love it if you would join as a follower there, because that's how I keep up with everyone's new posts. I would absolutely not want to miss yours. Wow, Teresa... I really love it here! I am going to share your blog link with a couple of other blogger friends who are really going through some struggles right now. All too often, even as Christians, many of us just take whatever it is that are thrown as us and chalk it up to 'well, it must be God's will then'...but they forget that we are not alone in this world and that the enemy is lurking around like a roaring lion, seeking out whom he may devour. We need to remember our place in the Lord is to take authority over the tactics of Satan and remind him that he is under our feet. GREATER is Jesus in us, than he that is in the world! PTL! Your post today reminded me of how very important it is to refocus and truly trust in the Lord and give thanks to Him. You have a wonderful sight and I look forward to perusing it more and learning more about you. I'm already VERY intersted in hearing more about your book! Thank you for visiting my blog today. I think it was a divine appointment. Oh my! "...pressed by circumstances...press into God." Wow! And to be still, to take our positions...what a fine Scripture and lesson. One for pondering. Thank you. Teresa - what a powerful Word here today! I am so thankful that you have joined my prayer blog and hope you'll check out my "main blog" also. I just love the scriptures you posted today. It really speaks to what our church is going through and the scriptures are some that we are standing on and praying on. I am so glad I dropped in! Many blessings to you. Ladies...thank you for stopping by...what a blessing! The daughters of the King fellowship via blogging! Now that's pretty cool! Love you all and the blessings of God be upon each of you and your families...especially the family members you wait for. In your waiting I know that God will renew your strength!